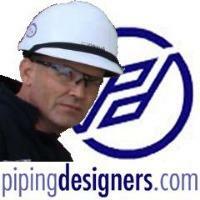 Where pipes pass through external walls, in basement areas, a puddle flange may be required. Location which may be below the water table or in areas liable to flooding or in areas which may need to be sealed against methane gas coming from made up ground etc. The puddle flange reduces the risk of water entering the building by capillary action when installed in a water retaining structure. In figure 21 a typical build in detail is shown. The two piece loose puddle flange is bolted onto the pipe once it has been bedded on denso tape or similar. Figure 2 shows a pipe passing through a sleeve. This would be used where pipe work is installed after walls have been constructed. The areas between the pipe and sleeve is sealed using a mastic type sealant. In figure 3 we see how the puddle flange is fixed and sealed onto the pipe, with Ensign this type of puddle flange is available as ED078 in 100mm and 150mm diameters. Figure 4 shows the build in type again, this time one piece (4set screws) for use with a 200mm pipe. The ED078 is a compression puddle flange which needs to be slipped over the end of the pipe and put into position. Then it can be tightened up with the rachet wrench. The gasket within the unit is compressed on to the pipe, therefore no denso tape is required. Figure 5 you can see that four bolts need to be tightened up equally.